A little while ago, the Parker Solar Probe was launched atop a Delta IV Heavy rocket from the Cape Canaveral base. After a little more than 43 minutes, it successfully separated from the rocket’s last stage and went en route to slowly approach the Sun to study it closely. 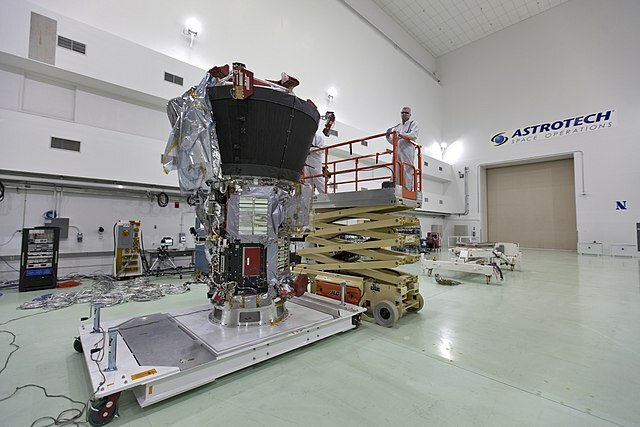 The Parker Solar Probe project started in the 1990s and was later re-proposed in a slightly different way and with different names after the important changes in NASA’s programs decided in the last decade. The plans for a solar probe were modified over time until the final one, with the name chosen in honor of the astrophysicist Eugene Parker, who gave a series of contributions to the study of the Sun, starting with the discovery of the solar wind. The Parker Solar Probe will be the first spacecraft to fly in the solar corona. In this way, it will be able to determine the structure and dynamics of the magnetic field of that area of ​​the Sun’s atmosphere and provide solutions to the mysteries that still exist on the processes involved in the acceleration and heating of the corona and the solar wind. For many years NASA has been at the forefront of the study of the Sun but typically that’s done with instruments on the ground or on board satellites orbiting the Earth. This time the goal is more ambitious and unprecedented because the Parker Solar Probe will slowly approach the Sun to touch its atmosphere. The distance will still be almost 6 million kilometers (about 3.8 million miles) from the surface but that’s already a very hot area. The problem is that the Parker Solar Probe must approach the Sun by continuously orbiting around it in a stable manner without being swallowed by our star. The spacecraft is equipped with a thick shield made of a carbon-based material to withstand temperatures approaching 1,400° Celsius (about 2,500° Fahrenheit) at its closest approach but even that couldn’t save it if it ends up on the Sun’s surface, where temperatures are close to 6,000° Celsius (almost 11,000° Fahrenheit), or even in areas of the corona where the temperature reaches a few million degrees. That extremely high temperature is one of the mysteries still to be solved. 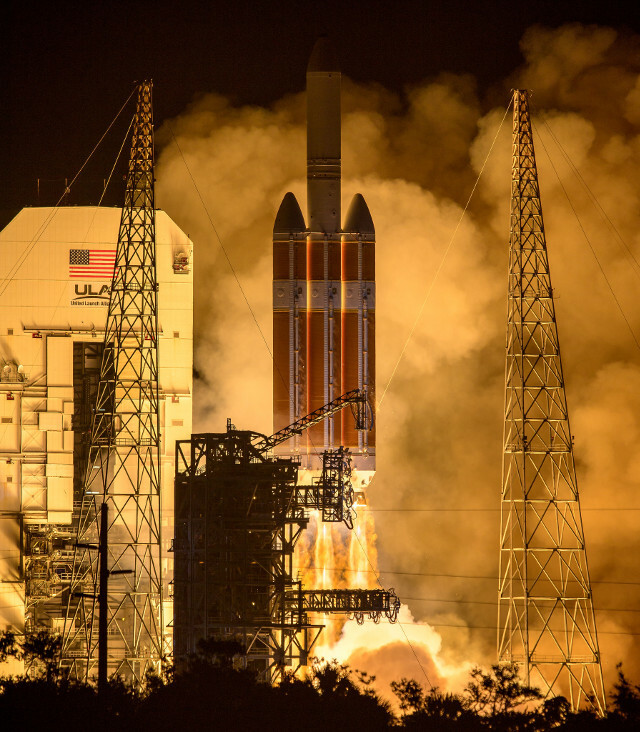 To achieve its planned goal, the Parker Solar Probe was launched on the powerful Delta IV Heavy rocket, the most powerful available to provide adequate initial energy since the SpaceX Falcon Heavy conducted only one launch so it wasn’t possible to take it consideration. Generally the Delta IV Heavy uses two stages but in this occasion a third one was added to give the probe an extra boost. The rocket will send the probe out of the Earth’s orbit with a speed that will already be high for a long journey that will exploit some Venus flybys with a gravitational sling effect to adjust its speed. This complex series of maneuvers will lead it to touch the Sun’s corona in 2024. The first approach to the Sun of the Parker Solar Probe will take place in November 2018 and the first data will be transmitted a few weeks later. The Parker Space Probe will still be far from the minimum distance from the Sun scheduled during its mission but that might already provide useful information. Solar activity has a significant influence on the Earth and the satellites in its orbit and that’s why NASA has been investing a lot for decades to study it.